Home Costs > How Much Does Game Fencing Cost? How Much Does Game Fencing Cost? For those who have wild animals such as deer or pheasants, game fencing will be necessary in order to keep them in their designated areas. On average, to have a professional install game fencing, the costs can be about $4 to $9 per foot. For larger projects, some contractors may charge by the mile, and this could be as much as $15,000 to $22,000 per mile to install a high, game-based fencing taller than eight feet. The cost will depend on the terrain, the geographical location, if the area needs to be cleared and if a contractor will be involved. Those who want to do the jobs on their own should plan on spending about $500 to $800 for every 300 feet of galvanized wire. This won’t include the other additional costs such as the concrete needed, tools and land clearing tools. For example, Lowe’s has a package made from 12 1/2 gauge galvanized wire and measures eight feet high and 330 feet long. This will retail for about $500 to $750 per 330 feet. Deer fencing is going to cost anywhere from $350 to $700 per 330 feet. Deer game fencing will generally measure as high as 96 inches to prevent them from jumping out. Welded wires can vary anywhere from $90 to $150 per 50 feet or $175 to $285 per 100 feet. 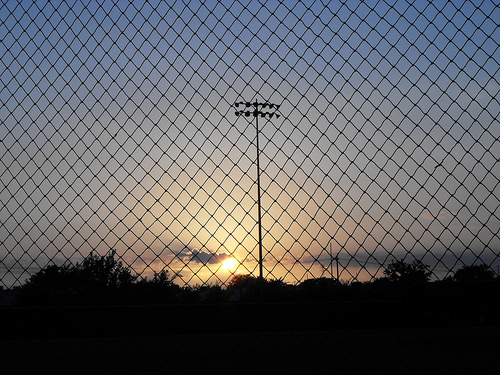 Coated hex netting-based fences can cost anywhere from $175 to $250 per 100 feet. One particular forum member on texasbowhunter.com said his brother paid $3.79 per foot to have it installed. On the texags.com forum, one member stated he was quoted $1.20 to $1.40 per linear foot. Game fencing generally comes pre-cut in packaging when you purchase it from your local hardware store. It will come in lengths such as 50 feet, 100 feet, 330 feet and more. This fencing, unlike the typical fencing found in the backyard, is designed to protect any wild animals from escaping. Most contractors will use wood or steel posts, and the fence will be made from a galvanized wire. Some hardware stores / specialty companies may cut the fencing to customizable sizes. Your results may vary. Most fences will be eight to 12 feet in height. Clearing the land, if it needs to be done, can add to the costs. Most contractors, however, will factor this into their original quote. Rocky or uneven terrain that’s hard to dig into can increase the costs by three times the amount. It’s not unheard of land owners paying close to $10 to $15 per foot if their land is rocky. Depending on your local regulations, permits will more than likely have to be pulled. Customized gates, depending on the size, will more than likely be an additional cost. Concrete costs may or may not be included in costs. Flood crossings, if needed, can be an additional cost. If having a contractor perform the job, be sure to ask for references. These jobs tend to be rather big and you don’t want to hire someone that isn’t going to get the job done right. Most companies are going to be more than happy to offer referrals as well as show pictures of jobs they have been done in the past. It’s best to work with a company that specializes in gaming fencing. Compare contractors online using websites like HomeAdvisor.com. Simply describe your job and contractors will bid on your project via email.